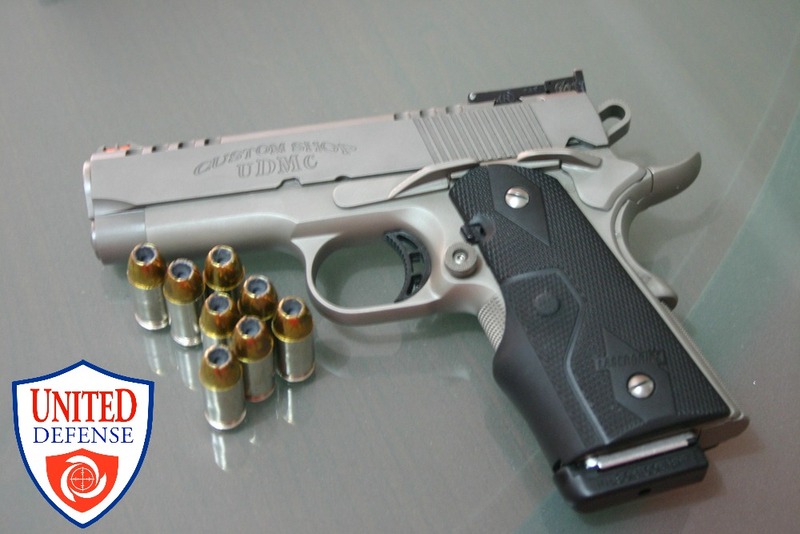 M1911 Officer's Model Pistol — United Defense Manufacturing Corp. The UDMC 1911 Officer's Model Pistol in caliber .45 single stack with a 3.5-inch bull barrel, double action spring, Laser Aim sights on the rubber grip, Bomar tritium rear sights, fiber optic front sights and an overall dark matte nickel finish. - Fires one round each time the single action trigger is squeezed and the hammer is cocked by the action of the slide. *To borrow a definition, MER is ìThe maximum range within which a weapon is EFFECTIVE against its intended targetî. This would translate into the maximum range that the weapon could effectively put a man out of action.